The machete is made of 440 stainless steel. The handle is wrapped with a green nylon thread. 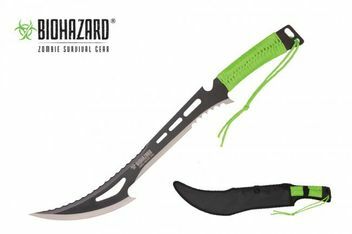 The machete comes with a nylon bag with a shoulder strap. The machete is securely held by Velcro in the nylon bag.